Goodreads: Metal artist Katie Mack is living a lie. Nine years ago she ran away from her family in Raleigh, North Carolina, consumed by the irrational fear that she would harm Maisie, her newborn daughter. Over time she’s come to grips with the mental illness that nearly destroyed her, and now funnels her pain into her art. Despite longing for Maisie, Katie honors an agreement with the husband she left behind—to change her name and never return. Kritters Thoughts: I am writing this review after pondering a few days and am still completely on the fence, but I am on the fence because I am uneducated when it comes to OCD and I just don't know how close to the truth this book sits and because of that it was hard for me to read and separate fact and fiction. 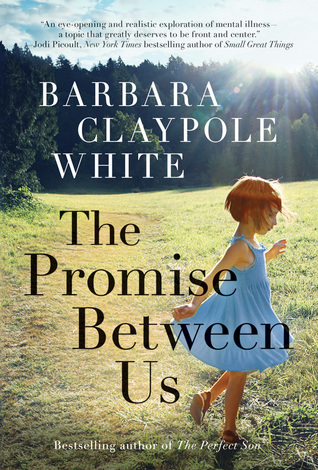 Beyond those thoughts, Barbara Claypole White always writes great characters in the perfect setting and just solid stories. Katie Mack used to live in Raleigh, North Carolina but ran away after life hit an extreme low, she is pulled back nine years later and is quickly confronted with the demons of the past, but she has more tools to equip herself to confront them head on. Again, I am uneducated when it comes to different forms of OCD, so it was hard to read and really understand if there are people who are faced with this form of OCD everyday. The main character Katie even says that this is a different form than the one people know and because of that it seems like people may not believe that it is a true form of the illness. I have to admit that I felt that way and wondered how much truth there was in the book. I would have loved a note or something to give some context and truth behind this form of OCD. After reading this book, I am motivated to read books about people who are very different from me and I hope that I continue to read stories about people who are different from me this year.